I’ve had short stories recently published in two anthologies. I had a poem called Rhyme Time for Total Quack Up, a funny collection of stories with all proceedings going towards Dymocks’ Children’s Charities. The other story was The Funactor, for boutique publishing company, Christmas Press and their annual anthology. This year it’s called A Miniature Christmas. 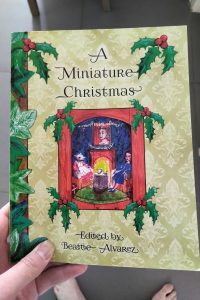 I’ve been lucky to feature in various anthologies over the years, and I still love writing short stories. It’s one of my writing tips. So let’s dive into why I think they’ve been important to my writing process. I was first exposed to short stories with Paul Jennings. My Grade 5 teacher used to read us a short story from his Un books (Uncanny, Unmentionable etc), every afternoon. Jennings was the master, laying down the setting and main character in the first few paragraphs. I think he was the biggest influence to me, until Andy Griffiths’ Just books came along. Each Just book like Just Tricking or Just Disgusting was a collection of episodic short stories. Short stories corner you into a much quicker pace in terms of the plot. There’s no room to fluff around here, you have to get the point, quick. More recently, Jack Heath is great at this in his 400 minutes to danger books, as well as Tim Harris’ Exploding Ending series. I got my first break with a short story called Hot and Spicy, which was featured in the Growing Up in Asian anthology. It was in my first year of being a ‘serious writer’ and it got me a spot at the Sydney Writers Festival, alongside editor Alice Pung, who described me as the ‘Asian Paul Jennings’ haha. There are countless anthologies, journals and magazines, all eager for submissions. Think of it as a short cut. You can experiment in short stories. 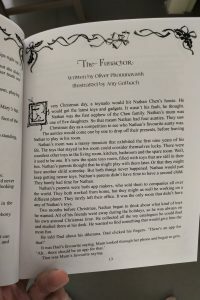 I loved writing The Funactor for A Miniature Christmas because it was a chance for me to write a Christmas story, as well as write in third person, something that I’ve never done in my novels. I also got to dabble in YA with a few stories in The Ford Street anthologies, Trust Me Too and Rich and Rare. Short stories are a perfect training ground to test out a new voice, try a new technique and tackle subjects beyond your comfort zone. Short stories are great stepping stones. You’d be quite surprised how many novels began as a short story. Sometimes you fall in love with a character so much that you feel that they should have more stories. That was me with Hot and Spicy in 2008. I discovered a voice that was going to be Lengy’s in Thai-riffic! and I began to write more stories revolving around him. A year later, one short story turned into nine episodes for Thai-riffic! In fact, it’s now called Curried Away (go and compare them both haha). 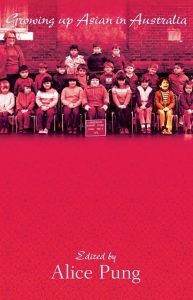 I was following Andy G’s blueprint of writing short stories about one main character, so technically my first novel was a short story collection. Funny how things become full circle. I enjoyed reading your blog about short stories and the potential they harbour as a stepping stone into bigger / longer stories. My first YA novella started as a short story and just grew bigger and bigger!